It was a bourbon night. A night long awaited but yet, feared. President Trump walked in smiling, shaking hands, and looking very presidential. Bipartisan applauds greeted him. At some point, I feared, he would ruin the image by sticking his foot in his mouth. I sipped my bourbon and waited and waited, and waited. The expected Trump outburst didn’t happen. His foot remained in his shoe. The teleprompter was his best friend last night, although he added an occasional word of his own, but he stayed the course and I think won back many who were sitting or had already climbed over the fence. He spoke directly and at times emotionally, especially about the Navy Seal who lost his life in Yeman. He stood proud and strong. For the first time since his inauguration he looked, sounded, and cast a presidential aura. One that left many, especially Democrats, speechless. At times those on the left sat with their hands folded on their laps and refused to applaud. At other times they applauded with their fellow Congressmen and the country. Sure there were clear divisions—the repeal of ACA, Immigration, and VOICE (Victims of Immigration Crime Engagement). Although those opposing him and their lack of cooperation did not throw the President off. He stuck to his game plan. When he concluded, the Democrats hurried out as fast as they could. Made me wonder if the spell those witches in Chicago supposedly cast on him, was now chasing the Dem’s up the Potomac. As usual, before Trump stepped one foot into the chamber, the Media already had him tied to a spit and were about to light the fire. But when it was over they were stuttering for words. CBS, who was critical of him had many positive things to say. NBC, scratched and clawed but still maintained an anti-Trump stance. I laughed at their analysis and drank a toast to their stupidity. ABC, was as hard lined as anyone could be before the speech but was now joining CBS with positive analysis. I missed the initial CNN reaction. And feel really bad about that…cheers. After the initial reaction the outlets will organize and form a new plan of attack. The ABC and CBS praises, will eventually fall to the wayside and once again they will bash, and scrutinize everything associated with him. After all, the puppet master pulls their strings and won’t allow a marionette to cut and run, at least not for long. 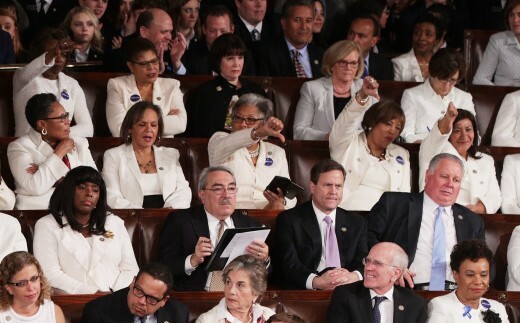 All dressed in white, or shades thereof, the Democrat Ladies sat unified with their minority leader, Nancy Pelosi. They politely applauded when “Our” President entered, but mostly, sat on their thumbs displaying a concrete façade of arrogance. When it was over they hurriedly left their seats trailing smoke from their burning butts—Trump had spanked them. I wasn’t impressed by their cold hard callus approach. They displayed a sense of disharmony before the Nation and the world. I for one, was embarrassed by their performance. She shook her head. Whispered. Her face turned sour as she looked around and saw some of her devoted followers dressed in white, applauding and sometimes standing. They weren’t supposed to do that…were they? No. They were to sit with their hands on their laps like good little coven members. Not that they are witches or Satanist or anything remotely related to demons, at least not that I’m aware of. 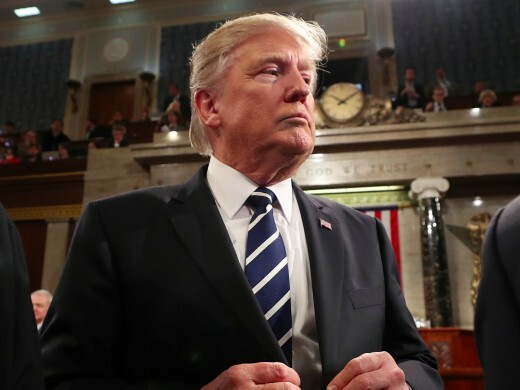 President Trump’s speech was well written, well delivered, and long overdue. If he had delivered speeches like this…wait, he did. On several occasions during his campaign he gave presidential performances like the one the World saw last night. The Media only gave you the low lights, the things that they wanted the public to see. Anything to make him look less presidential and more of a clown. Well folks, last night the world finally saw what his followers have been saying since day one, he is the man for the job. I poured myself another drink and raised the glass triumphantly toward the TV. 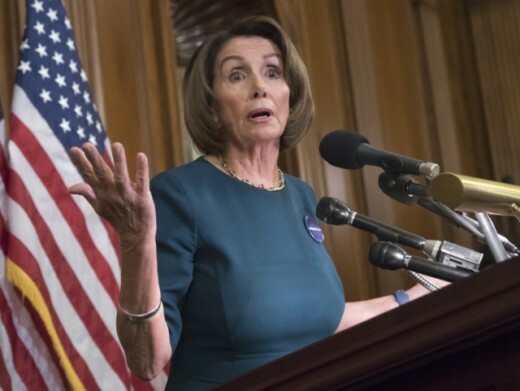 “Yes, Mr. Speaker. That is the President of these United States,” I said and tossed back the bourbon. Some people like to make them selves look small, and I think these woman did just that.